Bet Simon Yates To Win Points Jersey at 8/1 with 888Sport. Bet Michal Kwiatkowski To Win Points Jersey at 33/1 with Coral. The points jersey is normally the domain of top sprinters in Grand Tour cycling, but La Vuelta a España is a little different, often seeing the overall winner also taking that famed Green Jersey. Unlike at the Tour de France and Giro d’Italia, at La Vuelta, the points given to riders at the end of each stage are equal regardless of the terrain. This puts the fast-men on a level playing field with the climbers, on a tour where climbers traditionally dominate. Giro d’Italia Points Classification winner Elia Viviani is favourite to take the 2018 La Vuelta a España points jersey - at no bigger than 6/4 with Coral - but is it a year for Sprinters or Climbers? There are also intermediate sprints within stages offering: - 1st: 4 points, 2nd: 2 points, 3rd: 1 point – but they are far less valuable than overall stage placings, and do not have the same effect as at the Tour de France, when they are crucial to the outcome of the race itself. Sprinters can win the jersey (Matteo Trentin was just nosed out last year), and that’s why Viviani is favourite, but to win a sprinter will have to dominate all the flat finishes in the 2018 La Vuelta. Climbers with quick finishes are much more of a commonly victorious in this points competition, and are particularly attracted this year. The Vuelta route marks it out as a race for the climbers. This year there are eight summit finishes (with many of those having been preceded by previous high mountains earlier in the stag) and the second stage finishes with a category 3 climb. There are only five flat - sprint finish - stages out of 21. That tilts the balance in favour of Viviani, who could take all five sprint stages, and those with fast finishes to take stage wins from small groups. Simon Yates is an excellent sprinter by top climbing standards and he took the Giro by storm last May, winning three stages and finishing second on the first summit finish to Mount Etna, along with recording three other top 10 finishes. He dominated a field that had 2017 La Vuelta winner Chris Froome and defending Giro champion Tom Dumoulin in its ranks for two solid weeks, before exhaustion cost him the pink jersey. He has finished sixth at the Vuelta before, in the same year he was seventh in the points competition, and is a much better rider now. He is also likely to have an Mitchelton-Scott team at his service to boot, which should give him the chance for a variety of stage wins. Amongst the climbers, Yates looks the best bet to win the Vuelta points jersey at 8/1 with 888Sport. 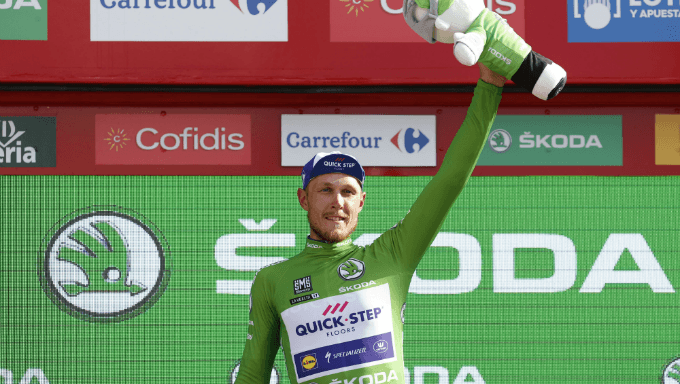 Whether he goes for the overall – in which case he is a huge price to win La Vuelta General Classification at 200/1 with Bet365 – or just stages, it’s hard to argue there are few all-rounders of his class in the field. He has also shown he can hang tough with the very best climbers, as shown by his wins at the Volta Algarve (where he won two stages) and Tirreno-Adriatico. A prodigious winner – he is also a former World Champion, and the current Polish Champion - he looks serious value at 33/1 to win take the points jersey with Coral. Hold On, Did You Say Sagan? Present World Road Racing Champion Peter Sagan made his name here in 2011 when he won three stages and the points classification, while riding in support of Liquigas team leader Vincenzo Nibali. The now three-time World Champion has hinted at coming here to prepare for the climbing that the 2018 World Road Racing Championships course is going to provide. This is an fascinating development, especially as he should hopefully have had enough time to recover from a dreadful crash he sustained at the Tour de France, and he would be the fastest sprinter there by a good distance. However, he started well in the 2015 edition, before proceeding to leave the race to prepare for the World Championships, and that would be a serious negative for the Slovak - and anyone considering taking the 8/1 available at Unibet.